Stackmann leaves Ford for Skoda after an 11-year career with the U.S. automaker. A former high-ranking Ford Motor Co. executive in Germany, Juergen Stackmann, will be the new head of sales and marketing at Volkswagen AG's low-cost Skoda brand. Stackmann, 48, joined Ford's German division in 1989 and rose to become the U.S. automaker's sales chief in Germany. 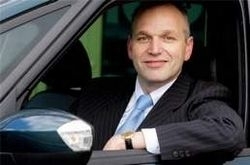 At Skoda, he succeeds Reinhard Fleger, 52, who will become general manager of Volkswagen Financial Services. The changes take effect Sept. 1. In his new post, Fleger will be responsible for the China/India region for Volkswagen Finance.